A green home is affordable when you evaluate the needs of your particular site's environment and apply the green construction techniques that are the best fit. Instead of trying to force a "cookie cutter" approach to green, Beyer Construction takes a thoughtful, flexible approach and won't give you a hard sell. 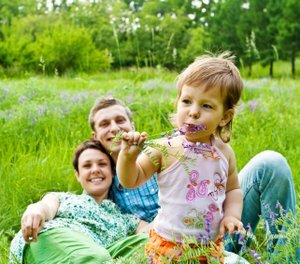 One thing that sets us apart is Superior Insulated Walls, which deliver unmatched performance for your family. They are not only up to three times warmer than standard foundation walls, but they also make for a drier basementsince they are completely impervious to moisture. Even though heat rises, a tremendous amount of your home's heat will be lost through the basement walls. While most builders struggle to meet the minimum R value requirement of R10, we start there and can often reach R30. 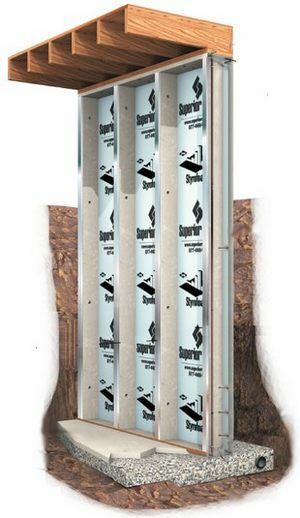 Click here to see Superior Insulated Walls installation. Building a comfortable, healthy home for our clients has always been one of our top concerns. That's why we've always built "green" - even before it was trendy to do so. Compared with standard homes, energy efficient new homes use substantially less energy for heating, cooling, and hot water heating. Homeowners can expect to save about $200-$400 annually on their utility bills. The energy-efficient features of energy efficient new homes keep out excessive heat, cold, and noise, and ensure consistent temperatures between and across rooms-making these homes more comfortable to live in. By purchasing an energy efficient new home, you are joining millions of consumers who have changed, helping our nation reduce our energy needs and building a cleaner environment for the future. For more information on energy efficient new homes, contact Jim @ (269) 767-7383. Working with Jim Beyer, Marla and everyone at Beyer Construction was a pleasure. We now have a house that exceeds our expectations and even our dreams. Jim and Marla are able to listen to what you want and can add options that complete and complement your thoughts. Jim is extremely experienced and competent in all aspects of home construction, honest and solid all around. He can design and create a cedar ceiling on a screened in porch, install geothermic heating and air conditioning and find a solution to your septic system that works for the local health department. Subcontractors that Beyer utilizes, such as tile installers, are all skilled and respectful. Everyone who works on your house is part of a team. Our place looks like it was meant to be on the site we owned. It felt like home from the time it was framed in. It exists as a treasure that we are frequently able to share with family and friends. Thank you Beyer!